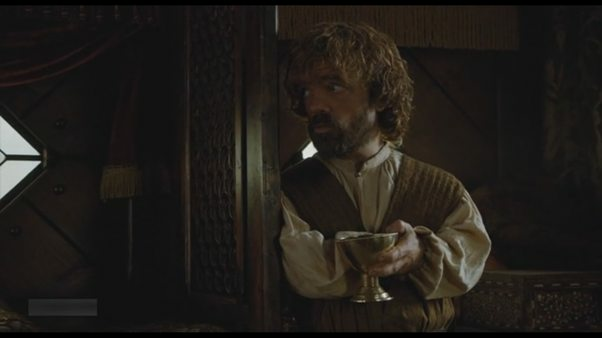 The fifth season of Game of Thrones’ opening episode was understated, some would say underwhelming but its followup episode, ‘The House of Black and White’ makes up for it. Named for the abode of the Faceless Men, the episode’s title can also be seen as a reference to the decisions that many of characters are forced to make, which, funnily enough, are not as clear as black and white. Chief among these are Jon Snow, Sansa Stark and Daenerys Targaryen all of whom are trapped in sticky situation without any clean ways out. Where the previous episode felt like a gentle reintroduction to the cast of characters and the setting, this week’s episode really gets the ball rolling and introduces the various storylines that this season will focus on. The episode features some unsurprisingly strong performances from actors we’ve come to expect them from but the vast changes from the source material leave the episode arguably having odd pacing in some sections and occasional plot-holes in others. One such potential plot-hole is Varys and his somewhat sudden political faith in Dany. If he was such a firm believer in her cause, would he really have told Robert Baratheon about her activities? Even if you make the argument that he did so to curry favour with Robert Baratheon, surely marrying her off to Drogo was a risky move since it put your chief political asset in uncertain hands. Varys endgame makes a good deal more sense if Aegon VI existed in the show’s universe and Dany remained as the backup plan but without Aegon, Varys’ actions in the first couple of seasons seem self-defeating. His presence in this particular storyline is also a little jarring since his character has always thrived off of the enigma that he surrounds himself with. Here, in this carriage, he seems somewhat powerless and diminished. It’s not a terrible change but it does take some getting used to, and combined with Tyrion’s understandable but insufferable self-pity, makes the atmosphere in that carriage really uncomfortable. 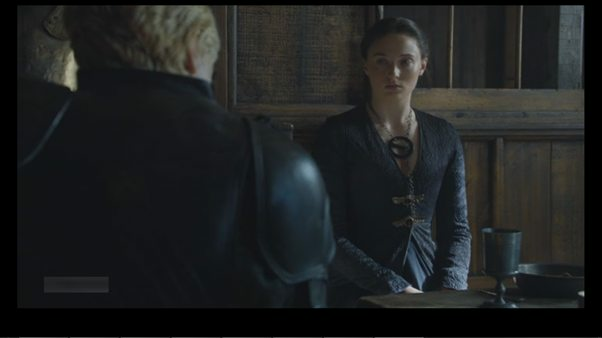 Another potential plot-hole could arise in Sansa’s storyline. Sansa, at this point in the story, is supposed to be a fugitive. Yes, she willingly exposed her identity at the tail end of the previous season but if there are no ramifications of her doing so, then it’s like that major detail goes totally ignored. Apart from that, Sansa’s more assertive self is a welcome change from her previous timidity. It is thoroughly refreshing to see a Stark in the driver’s seat again though given the nature and tone of this series, it will be a miracle if things continue going smoothly for long. It isn’t stated in the episode, but it would seem like Sansa is headed towards Winterfell and that an alliance with the Boltons is on the cards. Will she be able to set aside her feelings for the sake of her vengeance? We’ll find out soon enough. Sansa obviously doesn’t realize it but Brienne also has her back, albeit at a distance. The Brienne-Pod duo continues to be entertaining but is occasionally baffling. Why Brienne thought it would be a good idea to confront Sansa in front of all those knights, while still using her actual name, I will never understand but she clearly didn’t have any sort of convincing speech planned. 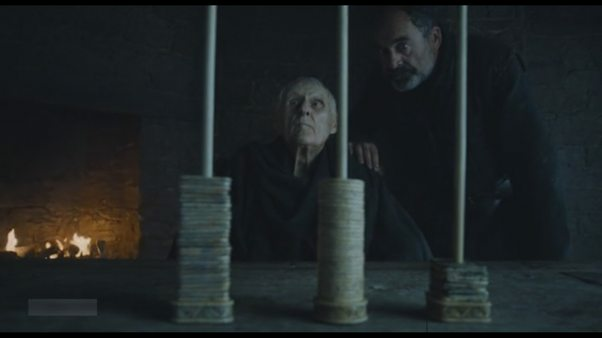 Still, if Brienne and Pod follow Sansa at a distance, we could be in for a real treat with several storylines converging at Winterfell – Stannis, Sansa, Theon and Brienne. It won’t be pretty, not by a long shot, but it will most certainly be entertaining. Speaking of Winterfell, we return to our initial topic of impossible decisions and there being no clear good answer. Jon is offered Winterfell but turns it down before becoming Lord Commander of the Night’s Watch. You would be right in thinking that it was an enormous event for his character but you could be forgiven for thinking that it was absolutely no big deal given the way it appeared. Jon mulls this incredible opportunity for all of two minutes before rejecting it. It’s an incredible shame because the show could have been so much more in emphasizing how monumental his choice of the Night’s Watch is but instead it makes it appear like the position of Lord Commander is Jon’s consolation prize. Both the election for Lord Commander and Jon’s final decision lacked any real tension since they played themselves out so quickly but on the plus side, if the show maintains this level of pacing the end of the season could involve some truly mind-blowing scenes. Meanwhile, in the small, largely irrelevant corner of the world that Dany has decided to isolate herself in, trouble is brewing and in large quantities. It’s anyone’s guess why Daenerys thought that ruling these cities would be an easy or even a manageable task but now that she is in the city, she must rule. Ruling turns out to be a difficult task, however, as Dany is forced to pick between the former slaves that she clearly cherishes and the rule of law that she is told is important. For a long moment, it appears like she is on the verge of taking the first step down the dark road her father took before her (though some might argue that her mass crucifixions last season were indication enough) but in the end she listens to reason and decides on a fair trial. However, what is morally and ethically right often clashes with the politically wise and soon enough Dany has a riot on her hands. Unless Dany is prepared to spend the rest of her life in Slaver’s Bay fixing the the situation, there is not going to be a simple solution to this. 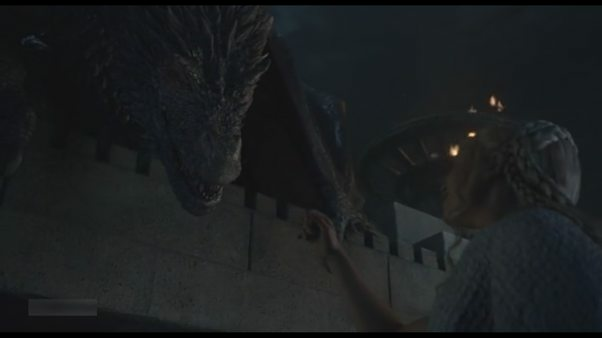 Drogon’s return and prompt departure at the end of the episode, like his siblings’ rejection of their mother, can be seen as a metaphor for Dany losing touch with what the part of her that birthed the dragons – her decisiveness, her determination and her righteous anger. A less generous interpretation of her actions might include her bloodlust and ambition but since she decided against going full CIA against the Son of the Harpy and executing him without a trial, let’s give her the benefit of the doubt. In King’s Landing, Kevan Lannister returns to the show after a full four seasons and lays a verbal smackdown on both Cersei’s authority and her Small Council before flipping her the finger and walking off while Jaime decides it’s finally time to take responsibility as a father and goes off to rescue Myrcella. We will leave Jaime, Cersei and Arya, who has had an a quiet start to the season, alone for now and end this discussion with Dorne. 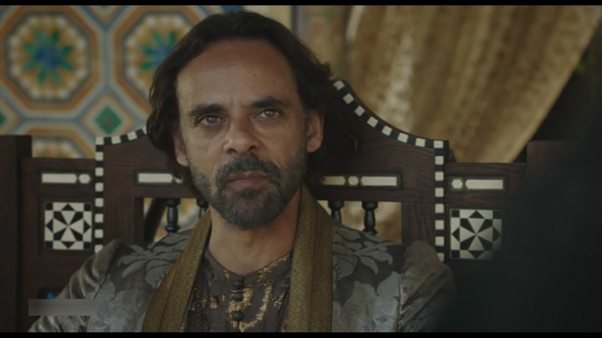 We get our first glimpse at the vaguely Spanish/Moslem nation and meet Prince Doran Martell, fruitless scheming extraordinaire, mourning his brash, reckless brother. Oberyn’s spectre will loom large over this story and already in this episode, Ellaria Sand demands blood for blood. Jaime will not find a warm reception in Dorne and is unlikely to leave it alive.